Limited edition hand numbered double vinyl lp celebrating 5 years of record label Super Disco Edits. What started as a bit of fun has blossomed into a fully fledged record label, cementing itself as one of the for runners in discovering long lost soul, jazz and funk music. 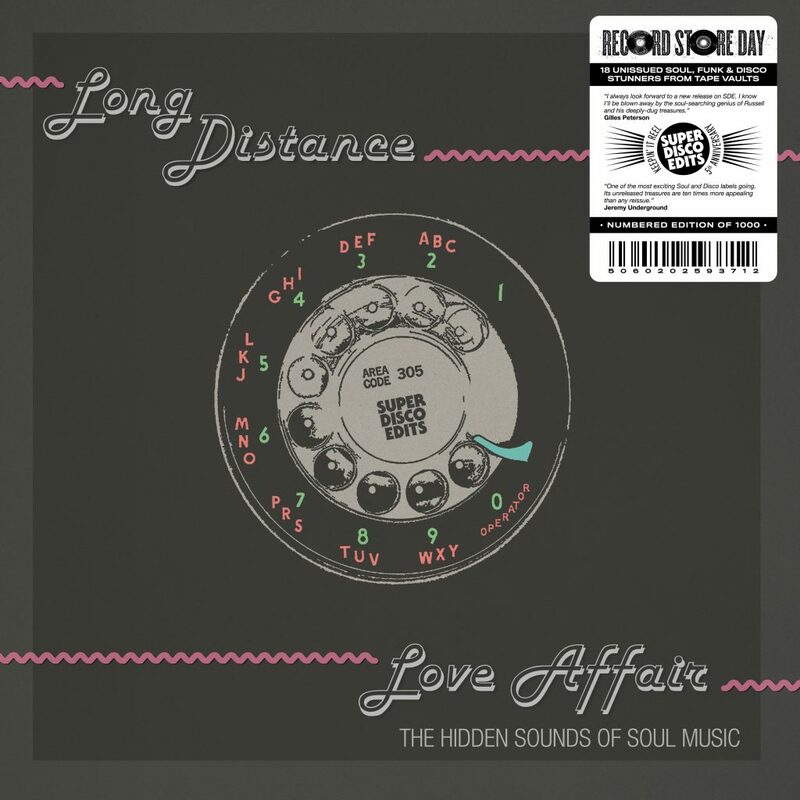 Long Distance Love Affair (the hidden sound of soul music ) is 18 tracks featuring some of the labels favourite releases from its conception until now. Classic cuts by Buddy Hank, Doris Troy Mother Braintree and Kinsman Dazz. Jeff Odom , plus the pulled from release crossover gem from Gateway. This release is a Record Store Day exclusive for April 13th.